Corporate Law: Why It Is a Rising Stream? Our system demands attorneys who bring a change in the messed up arrangement. Corporate Law is the beginning of that change. With a number of startups emerging every day and the requirement of the existing firms to function effectively, this field has lots of opportunities for the law enthusiasts. If you are looking for a career in this stream, you will be startled by its perks. You can come across some absolutely brightest and the most insightful people of the corporate world. The intellectual power at an elite law firm is equivalent to the mightiest of the armies. Amused? Well, turn on the radar and know about the booming break this field offers. Law, for a layperson, means a structure of rules and guidelines, legally enforceable. 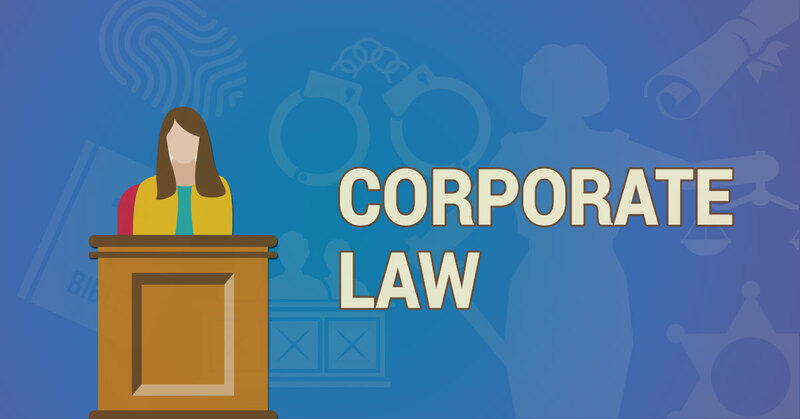 Likewise, corporate law involves general norms and guidelines for corporate matters, like the incorporation of companies, secretarial matters, directors’ and shareholders’ rights, articles of association, board meetings, and the public listing or delisting of enterprises. Under “corporate law” there are several major areas of practice, such as real estate, mergers and acquisitions, corporate finance, and insolvency and banking. As a profession, it encompasses various fields such as media, IP, litigation, academics, and so forth. As a Corporate Lawyer, your area of work will usually involve acting on mergers and acquisitions (M&A), the restructuring of companies and the hiving-off of profitless sections. Your green flag on any transaction will seal the deal for the enterprise. What does the Bureau of Labor Statistics Predict? Acc. to BLS, prospects for a corporate law degree is anticipated to grow 6% between 2014 to 2024. The median annual wage for lawyers was $118,160 in May 2016. Fereshte Sethna, the founding partner at Dutt Menon Dunmorrsett (DMD), a boutique lawsuit firm, stated, “There are leaps and bounds of work coming for the young litigators today.” This gentleman was one among the lawyers representing Vodafone in its high profile Rs 12,000 crore tax case. The article also claims that the young minds find corporate law firms or the legal departments of corporate houses much more beneficial for their career. They have more desire to willingly take active practice. From Jawaharlal Nehru to Barack Obama, there is an extensive list of leaders who used the legal profession as a springboard to unmatchable magnitude. Master’s in corporate law offers you this privilege. This stream incorporates diverse fields which by default opens various options for law aspirants. With an increasing number of foreign firms targeting the Indian market, the requirements of legal expertise will only increase, making the law a very lucrative career. It’s time to pull up your socks and aim for the best to make big money and earn respect.